As a new owner of one of our beautiful Maltese Angel Babies welcome to the family! All of you have different reasons for selecting your new addition from us but one reason stands out and that is beauty and quality! Once you are a part of our family, I will always be a resource for you when needed. I strive to be highly responsive to your needs. 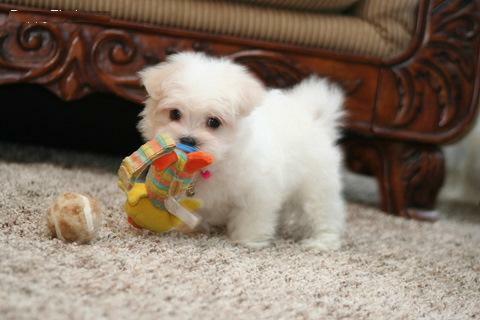 I know that if I were getting a new puppy, I would want to know as much about him or her as possible since their birth. I delight in sending you pictures, telling their birth story and sending pictures of the Mom and Dad. Moving forward, I will keep you up to date with their weekly weight, doctor visits, milestones and plenty of pictures! I have many things to share with you. 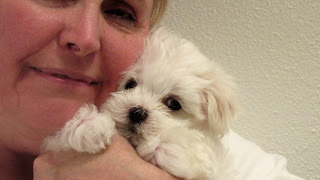 These are the things that I do with & for my adult, newborn and puppy Maltese. I have learned these things over the last 15 years as a Maltese owner and now as a breeder. Please feel free to share information that you know thus helping to build a Maltese care knowledge base. I hope this will become your go to resource to keep your Maltese Angel Baby happy and healthy for years to come! Sally did everything possible to build a relationship with us. We were in contact constantly and through 100's of photos and chats we felt like we were right there with our baby has she grew! She even let us visit our baby before she was ready to go home so we could start building a bond with her. Amazing! I have bought from 3 other breeders over the last 20 years and none of them did anything of these things! what she does accurately. A better way to describe Sally and what she does is that she is a "transparent breeder". She loves deeply and cares for all of her dogs and their babies like no other person I have ever met. Unlike the typical breeder, she give all of her dogs special attention a better way to describe Sally is that she is a "transparent breeder". It's clear when you talk to her and visit her that all her dogs are happy, healthy, and more importantly, extremely well loved. She is not breeding for the sake of selling puppies. She does it to share the joy of the Maltese breed with all of us. Getting a baby from Sally is such a positive and rewarding experience and I encourage all of you who want to share the joy of being a Maltese parent to talk to Sally further. I’m THREE days away from picking up my new little pup: I met him, his mom and dad and the rest of the pack at two weeks (Benji is AMAZING! ), my pup has been to the vet and I have around 500 pictures and videos of him! I CANNOT be more ecstatic! I want to give a BIG thank you to Sally, and Joe (posts above mine) for all their help! I’m a first time puppy owner and have needed *a lot* of guidance, everything from what supplies would be best to questions about health and grooming. Sally is *always* happy to answer my questions and help guide me…we talk multiple times a week! She’s always forthcoming with her knowledge and willing to help. And it’s wonderful because with her guidance, I’ve been able to set up a launching pad for me and my puppy’s life together. This is not the experience some of my friends and family have had with other breeders!!! I feel confident and READY to bring this tiny, precious little life into my home and give him the best care possible. I know that Sally’s guidance is from years of experience, but in the long run, if those things don’t work for me and my puppy’s life together, I can change them as needed. Sally is truly talented and is sharing her talents and passion with us and I feel so blessed to be part of that with this experience!